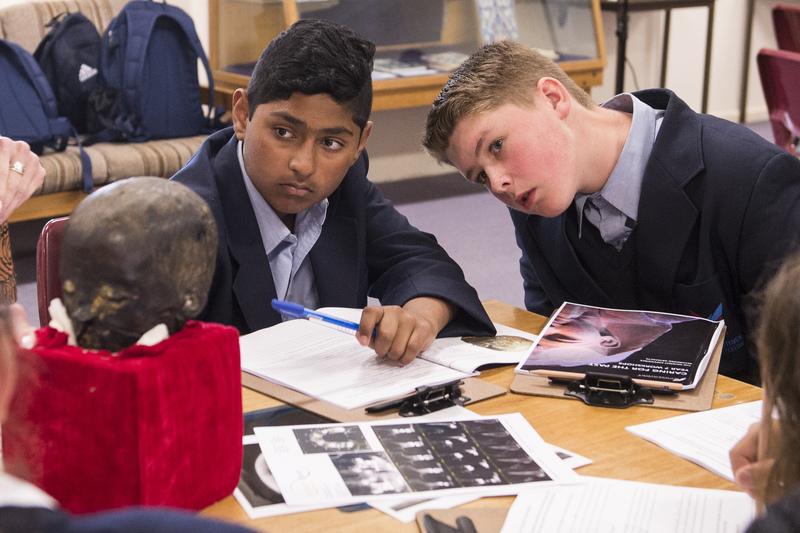 The Department of Archaeology and History, La Trobe University and the Australian Institute of Archaeology invites year 7 Humanities students to participate in a series of workshops that include the Institute’s significant collection of artefacts, archaeological material and its authentic cat mummy. All excavations have a story to tell. It is the job of the archaeologist to find that story. In this workshop students become the detectives. 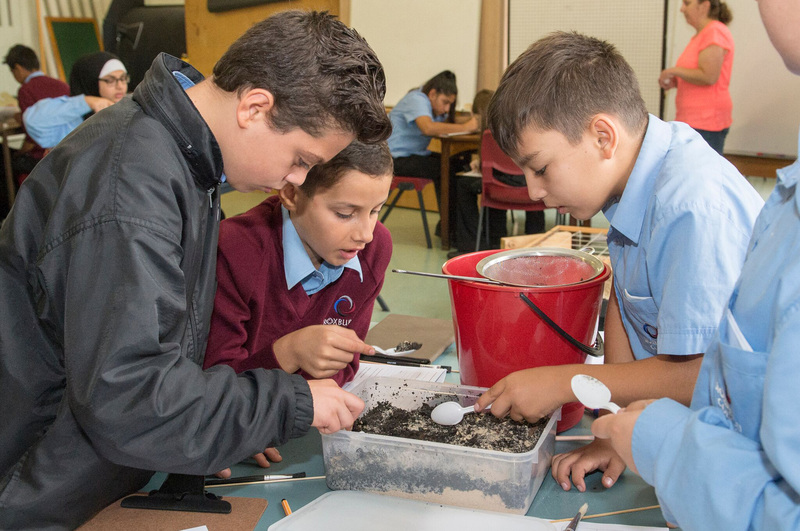 In small groups students excavate to uncover the story within their dig box and solve the mystery of the site. 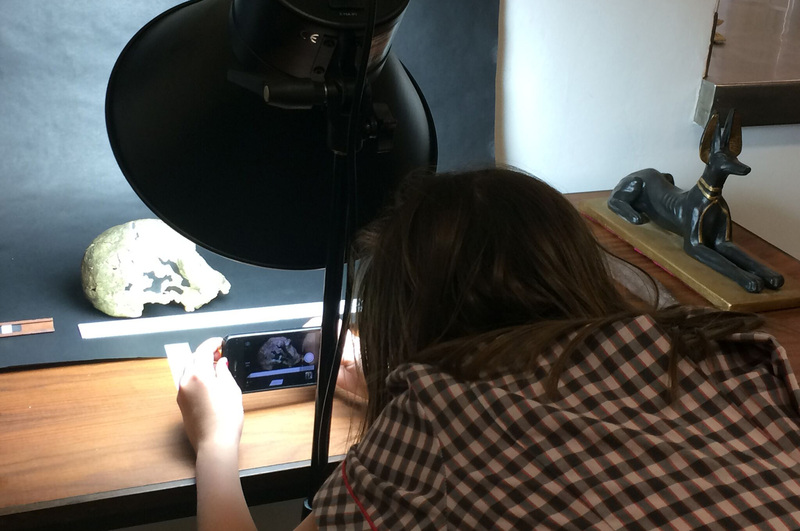 Once artefacts are discovered, archaeologists record the findings via detailed sketching or scientific photography. 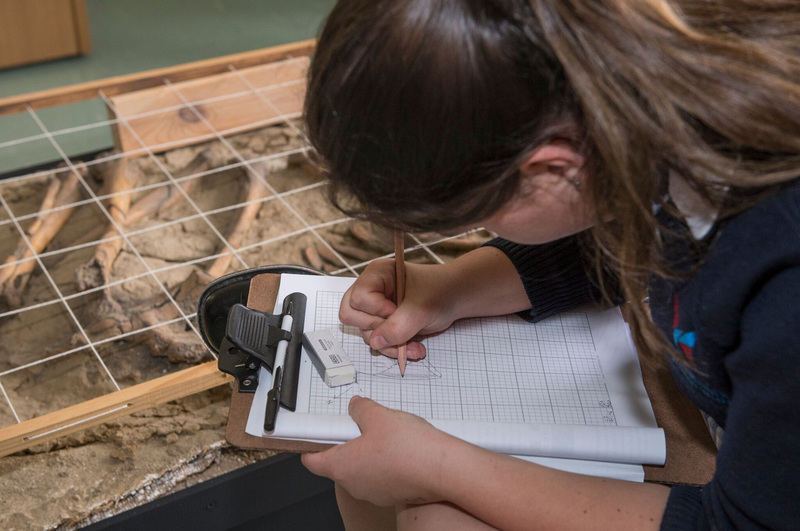 In this workshop, students learn these skills by using the Australian Institute of Archaeology’s extensive collection. Papyrus is a plant that grows along the Nile River. Egyptians used papyrus to make baskets, mats, rope and paper texts. 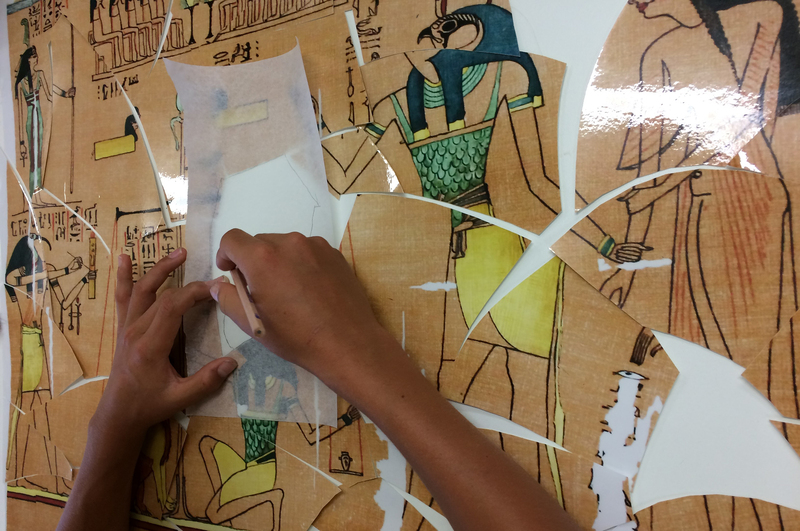 In this workshop, students take on the role of an archaeologist in a laboratory to piece together fragments of a papyrus discovered in the tomb of an ancient Egyptian. Once it is complete, the missing sections are reconstructed to decipher what is happening in the text. Pieces of pottery can be found in just about all ruins of ancient places, all over the world. While most of it is broken, it can still tell archaeologists a great deal about the people who made it and used it. 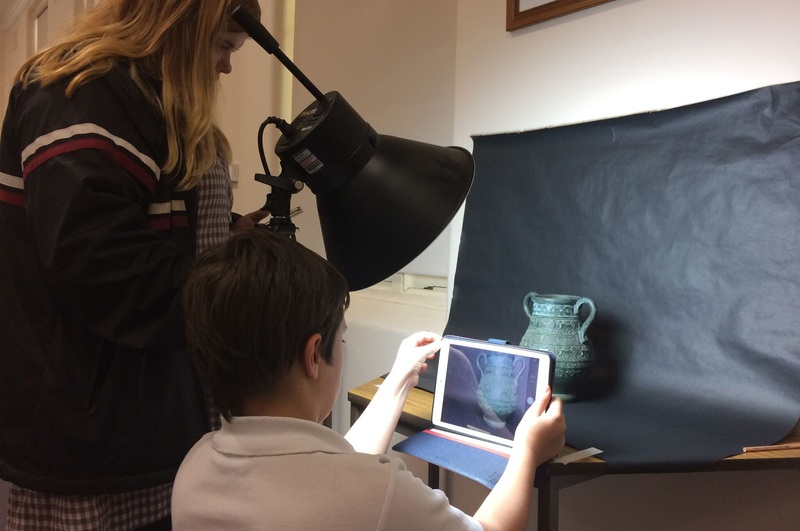 In this workshop, students reconstruct pottery sherds discovered at a dig site to see what can be determined about the pottery itself, its use and the people of the civilisation that produced it. Why did Egyptians mummify cats? How did they do this? What happened to the mummified cats? Come and meet the Institute's mummified cat and play detective. What can be deduced from a close examination of the cat? What else did ancient Egyptians mummify? Examine the mummified head of the Institute's young child. Deduce why he died. This workshop also consists of a short explanation of mummification.